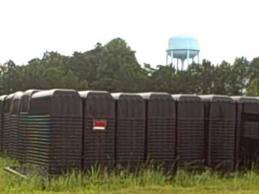 Why Are There Thousands of Plastic Burial Vaults Stacked in a Field Near Madison, Georgia? Well 3 bodies per box easily would = 1.5 million. They are in a field near Madison, Georgia, just off of Lions Club Road and next to (as far as I can tell) a Fowler Flemister Concrete plant. See coordinates: +33° 33′ 57.36″, -83° 29′ 6.26″. 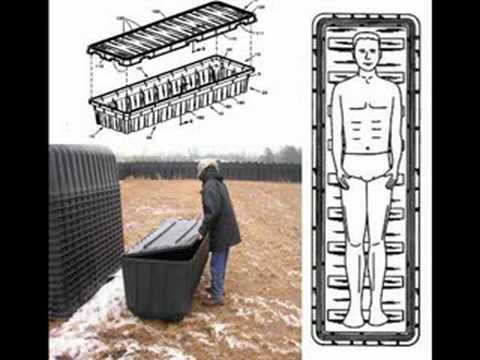 NEW FEMA Coffins in INDIANA (Kingsbury) Youtube Keeps removing this. FEMA Coffins in Kingsbury Indiana and NEW Underground FEMA Bunkers on a Closed Military Base. this video as many times as you can. Google FEMA CAMPS and FEMA COFFINS you will find a ton about it! We have to look at all of the evidence and try to see the big picture. Could ALL of this information be real and true, or are these just more conspiracy theories? Yes and No! There are many truths weaved in between lies and misconceptions. Many things that people believe are simply not true, and many things people do not want to believe are very true, look into (HR 645), FM 3-19.40, Rex 84, Operation Gardenplot, CILFs (Civilian Inmate Labor Facilities). I have been accused of trying to scare the mass population with this page, but in reality I am only presenting news that I have researched, in one place for the world to see. Nothing more, nothing less. Now I will say that these red/blue list stories have been circulating for well over twenty years now and most of these train cars I have seen are simply car haulers with ramps for the cars to sit on, and the chains are to keep them tied down in place. Many videos circulating on YouTube have been debunked. So try and be objective and look at what is real. There is a lot of mis and dis information out, and it is easy to get confused or misled by things that simply are not real. We do know that our government likes to make lists though, and the TSA's no fly list has over 1 million people now listed and marked. So is it possible that there is a Red List? Absolutely! My suggestions are to worry more about stocking up on food, water, guns and ammo, because it is a total illusion that the USA will continue on, business as usual. Knowledge is power! Learn, look, watch, listen, share, train, prepare, wait, stock your food and water supplies. Check at The UAFF website for daily updates from within America and around the world. How do I become a 2012 Human Sacrifice® Model? The bunkers at Kingsbury have been there for 75 years. The doors are all rotted and the signs are the 1950's style bomb shelter signs. They aren't FEMA camps there. There is a motocross track, hunters everywhere, a 2 decades old explosives testing lab, DNR shooting range, beau coup businesses. It was an ordnance facility during WWII. Ive hunted there.. There is no camp there you guys are crazy! YOU must be a government agent, helping to hide the truth. 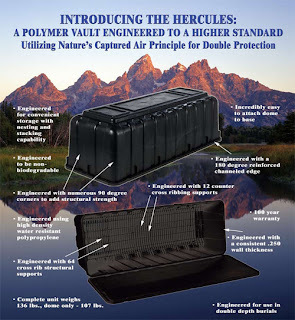 I KNOW the truth, and those ARE FEMA coffins. I KNOW for a fact, because I'm on my laptop, typing this from inside, and buried in 10' hole, with 3 more stacked on top of me. HEEEELP!